Station Museum Garden, in honour of the upcoming B.C./Yukon 2015 Peony Show. This show will be in Castlegar BC on June 27 and 28, 2015. The Castlegar Peony show committee encourages gardeners, florists and growers alike to enter blooms in the show. Peony entries will be judged by Carol and Jim Adelman of Salem, Oregon. Carol is President of the Pacific Northwest Peony Society, a director of the American Peony Society, and grows peonies commercially at Adelman Peony Gardens. They have consistently won the coveted American Peony Society’s Best of Show eight times in the last 11 years. Carol will be speaking at the Castlegar Peony Show at the Castlegar Community Complex on June 27. Tickets will be available locally and online. This special event is sponsored by the Canadian Peony Society, Castlegar Communities in Bloom and the Castlegar Garden Club. For more information please contact Holly Pender-Love at hplove@telus.net or (250) 368-6228 or Adriana Work at info@peonyfarm.ca or (250) 359-7142. You can also visit the Dutch Girl Peonies website at peonyfarm.ca. 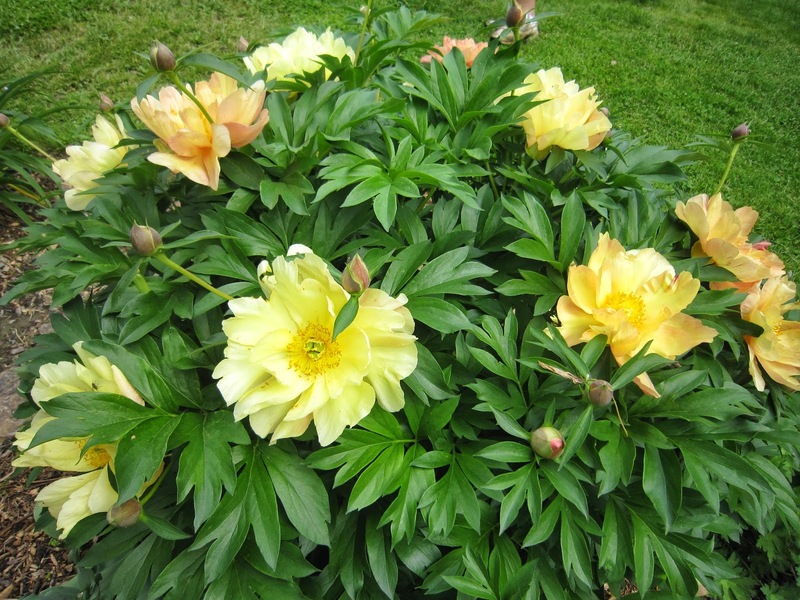 Our 2014 Root Sale is now open to members of the Canadian Peony Society. Please see our list in the page above marked "Root Sale 2014 Open". Check often for late additions not found in the newsletter. Get your name in on the ones you would like to covet for your piece of heaven and good luck. As always I will be in touch in the fall if you succeeded in your bid. Notre 2014 Racine vente est maintenant ouvert aux membres de la Société canadienne de la pivoine.S'il vous plaît voir notre liste dans la page ci-dessus marqués "Root Vente 2014 Ouvrir". Vérifiez souvent pour ajouts tardifs ne trouve pas dans la newsletter. Obtenez votre nom dans sur celles que vous souhaitez convoiter pour votre coin de paradis et bonne chance. Comme toujours, je vais être en contact à l'automne si vous avez réussi dans votre offre.